I recently received some new stamping plates and wanted to try them out. I found some time to stamp over a polish I recently reviewed and one that's going to be in a future review of mine. I am still working at technique so the stamps sometimes don't transfer perfectly from the plate to the stamper. I think that I am improving though, I'm quite pleased with how these transferred! All supplies were purchased by me except for the Black Dahlia polishes, those were sent to me for review. Base is Black Dahlia Teal Hydrangea stamped with plate VL030 and MDU #4 stamping polish. Base is Black Dahlia Magical Moss stamped with plate AP18 and Konad black stamping polish. I love these two designs! So pretty! Hi Jen, I notice you have pretty curved nails, as do I. I struggle with my nail shape and stamping accurately. 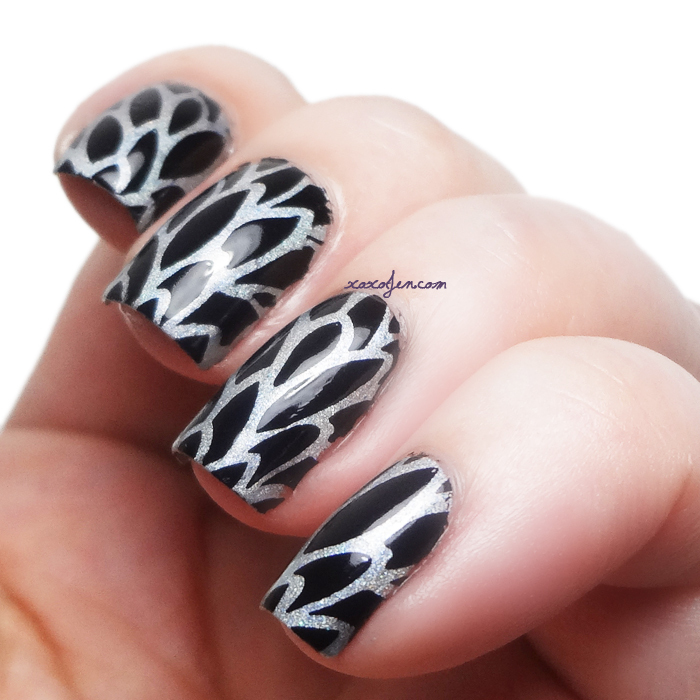 Would you have any tips on how you achieve such a clean stamp image on curvy nails?? =) I'd love to be able to improve my stamping but am still frustrated. You're right! I do have quite a C-curve. I find that the softer stampers work best so that I can roll and squish the stamper down to cover the whole nail. The harder stampers just don't work well for me at all. Offer the nail shapes, hues or outlines you for the most part depend on in summer.